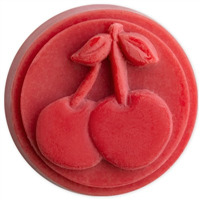 This small soap mold features a delicious looking strawberry, seeds and all, inside of a circle. 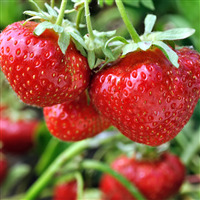 Pair with any of our strawberry fragrance oils for a sweet treat. Bar Depth: 7/8" Bar Length: 1 1/2"
COMMENTS: I ordered this to try with lotion bars and/or melt&pour. Really cute and not that hard to unmold! COMMENTS: This is a great mold for our shower steamers. I like the detail in the design. Thanks! COMMENTS: I'm so very glad I recently purchased this mold because now it's out of stock! I got it for "toppings" on the frosting if my cupcake soaps and to use for embeds in CP. 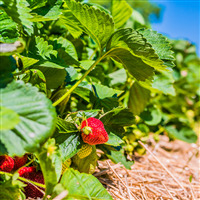 I only fill up the little strawberry. 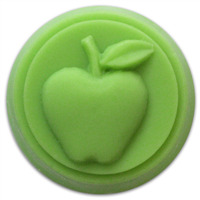 I may get brave and even make some wax tarts!! 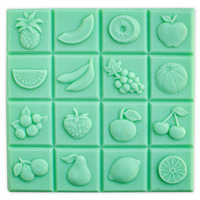 COMMENTS: These molds make the cutest guest sized soap melt and pour soaps. 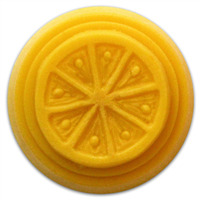 However, they are flexible enough to be used for wax tarts, bath bombs, homemade chalk projects, etc. A good buy all around.